This may be the last of the Star Wars Weekends exclusives that I’ll be posting about. There certainly were a lot of Jabba-related items this year. which put a strain on my wallet, but I guess that’s not surprising given that it’s the 30th anniversary of Return of the Jedi. 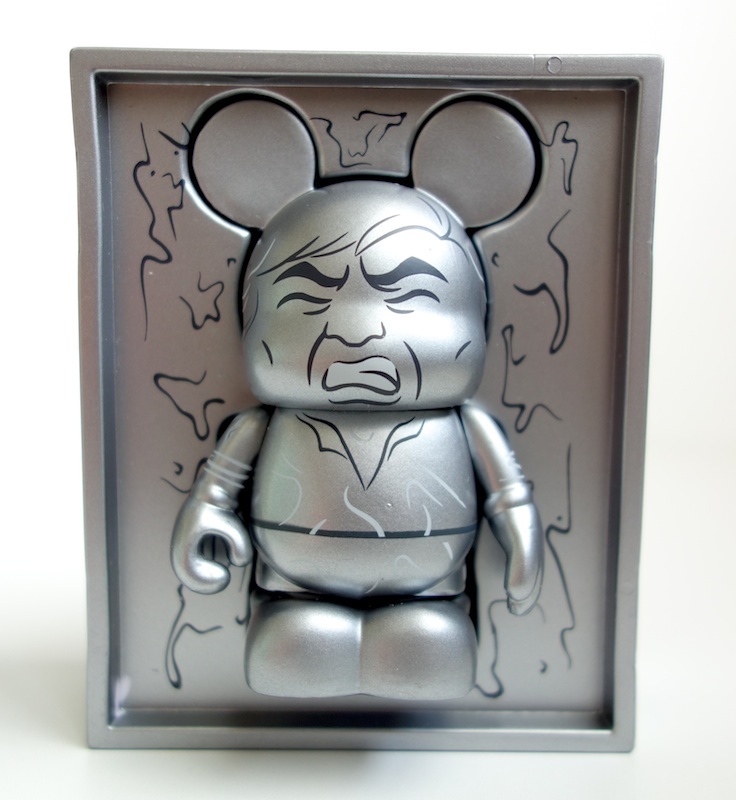 This figure was released later than the Jumbo Jabba the Hutt Vinylmation figure and the Series 3 Vinylmation figures, so I had to resort to eBay to get it. 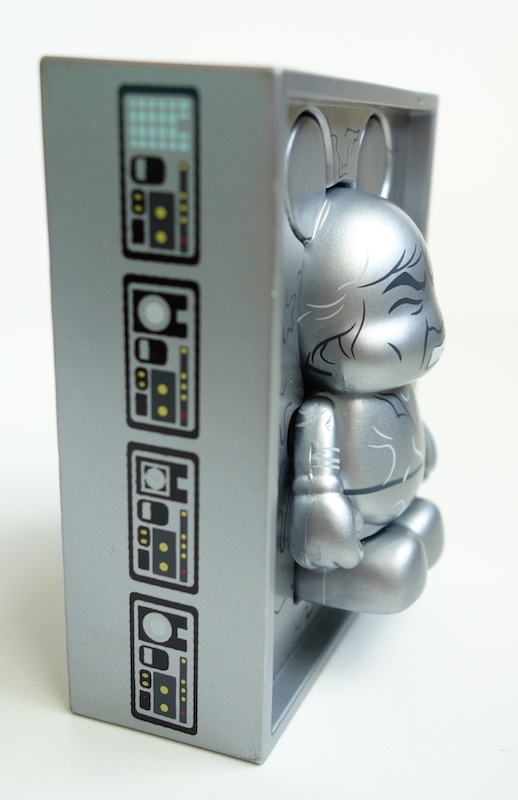 He comes in two pieces — Han himself and the Carbonite block that he fits into. 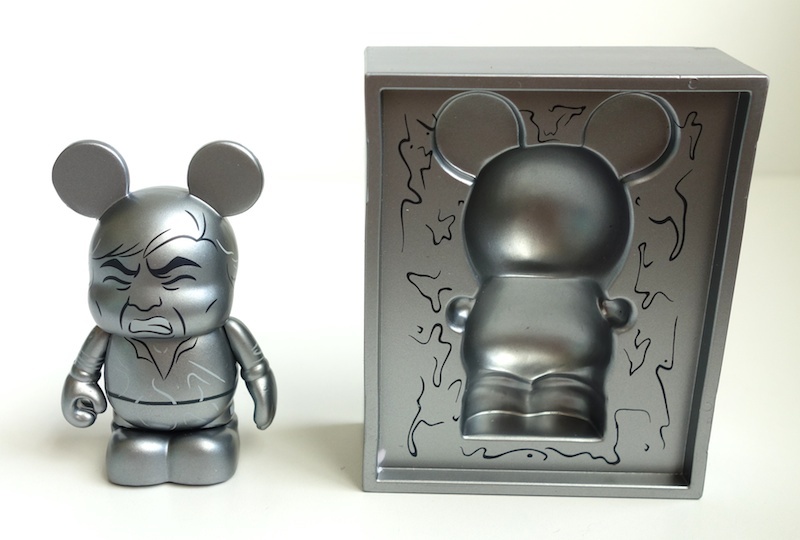 But at $32.95 retail, he costs close to triple what an ordinary Vinylmation figure would cost. I assume most of that is due to his exclusive nature. He was only available during Star Wars Weekends and was limited to 2000 pieces, which apparently sold out fairly quickly.